Elgie Osbon, 75, of Paragould, passed away Tuesday, March 19, 2019. 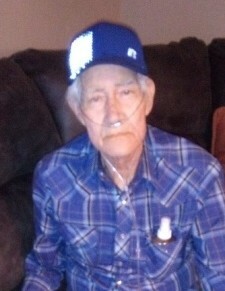 He was born June 9, 1943, in Paragould, to John and Ila Mae Osbon. He was a talented guitar player and enjoyed taking his wife to eat and go dancing. Elgie was an avid hunter and fisherman. He loved the Lord and looked forward to gospel concerts. He retired from Darling after 22 years of service. Elgie was preceded in death by his parents; daughters, Kym and Rhonda Osbon; brothers, Charles and Jerry Don Osbon; sisters, Oma Lee Thrasher, Norma Rae Baker, Betty Lou Weatherford, Joan Ezell, Shirley Mae White, and Wilma Jean Friar; and three infant siblings. Survivors include his wife of 20 years, Retha Osbon, of the home; sons, Jeremy Osbon of Harrisburg, Phillip Whitlow and his wife, Patricia, and Jimmy Whitlow and his wife, Pamela, all of Paragould; sister, JoAnn Looney; 7 grandchildren; and several great grandchildren. The family will receive friends Friday, March 22, from 11:00 a.m. until service time at Phillips Funeral Home. The funeral service will begin at 1:00 p.m. at Phillips Funeral Home with Billy Moore officiating. Burial will follow at Linwood Cemetery.